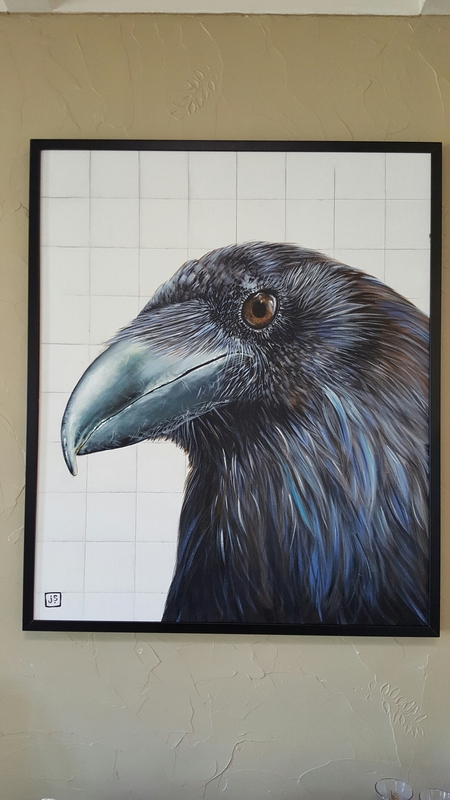 Sometimes there is a story…..
My inspiration to paint a crow is because a neighbor of mine loves crows. He goes on for his morning walks and carrys a bag of peanuts (still in their shell. The crows have to work for their treat! 😜). The murder of crows will follow him and will chatter to him for their morning treat! I just signed up and added my info to the Santa Cruz First Friday Artist Profile registry!!! Today is for the birds! What a lovely day to work outside! 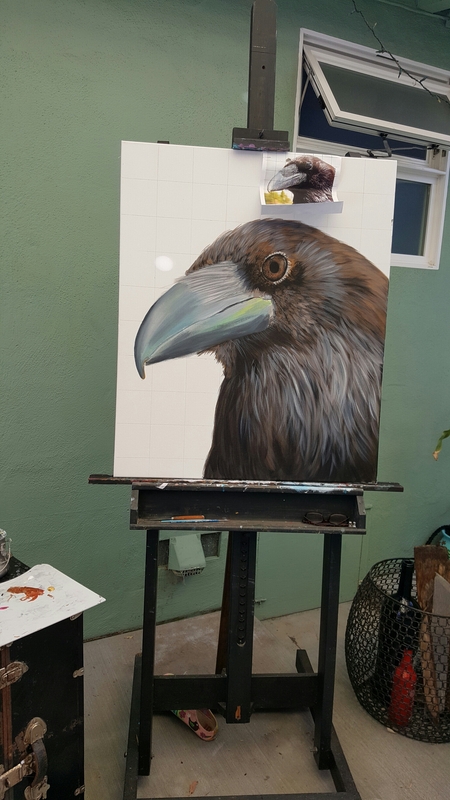 Felt like a day to work on this raven! Taking advantage of the world Der full natural light of this perfect California day!! So this is not art related but something I think is important to share……. I volunteer for a rescue. I volunteer for Paphaven.org papillon rescue. They were, and still are looking for more foster homes. I shared on Facebook all the info to my personal page and my public page for animals in need called Gimpy Pets. By doing so, Paphaven gained another foster home! Yeay!!! So it is so important to put the word out on social media sites! It works! It helps to connect people to important stories in the news locally and afar, organizations in need of help like Paphaven, promoted cool new products and ideas, helps lost pets and people find their families, and in my case helped to gain more foster homes for animals in need. So when someone posts for help or ask for you to share…..please go ahead and share. Cause someone else will share and it can snowball from there!